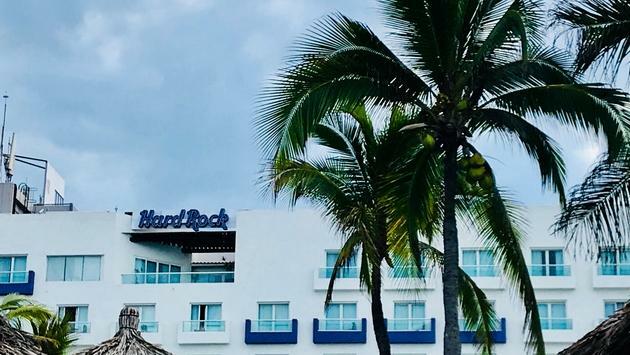 Backstage concert passes, top-shelf drinks and being pampered in the spa are just some of the experiences designed to ensure you have a good time when visiting Hard Rock’s all-inclusive resorts located throughout Mexico. There’s also fine dining and fun for everyone, including the kids. And when you need a little downtime, escape to the adults-only retreat area. These are just some of the highlights at Hard Rock’s unforgettable, all-inclusive Mexican resorts. The brand operates all-inclusive properties in Cancun, Riviera Maya, and Puerto Vallarta, each with its own unique style and highlights. 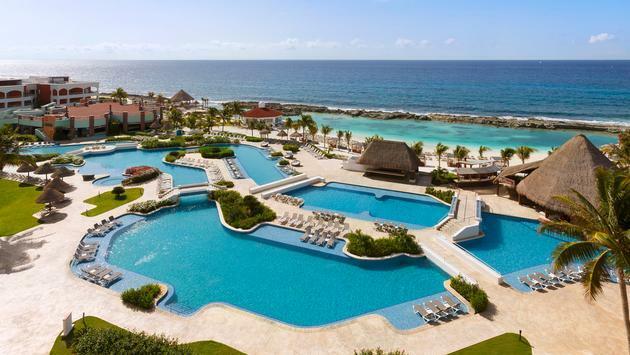 The Hard Rock Hotel Riviera Maya, for instance, features pools, a splash park, and waterslide, as well as the Playacar Golf Club and nightly entertainment. The 1,264-room property is where luxury meets satisfaction amid a backdrop of stunning tropical views, a private white sand beach, and exclusive saltwater snorkeling areas. Hard Rock Hotel Riviera Maya is a place where guests will find inviting traditional design, legendary Hard Rock hospitality and the brand’s legendary excess at every turn. For those who need still more opulence, there’s Heaven—an elevated and exclusive retreat for adult guests only, featuring a private adult beach, superlative amenities and dining at its finest. 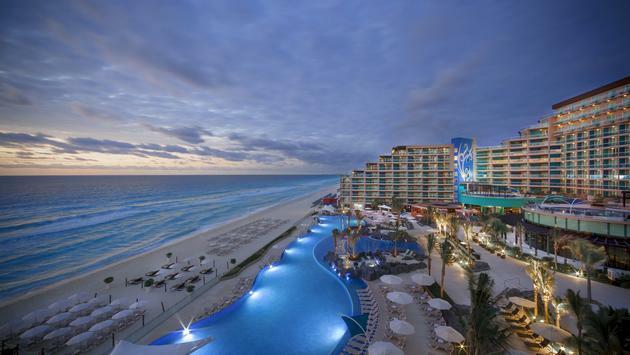 The Hard Rock Hotel Cancun, meanwhile, is the ultimate beachfront playground. 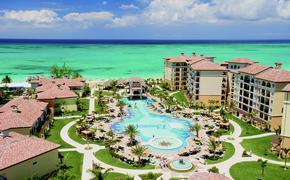 The property includes nine restaurants, six lounges and a lagoon-style pool. There’s also a Kids' Club for young visitors who are four through 17. The club even features a special kids’ pool with games. Still more entertainment options at the property include ping pong and table games, billiards, pool volleyball and basketball. According to the Hard Rock, every life has a soundtrack. Discover yours at the all-inclusive 362-room Hard Rock Hotel Puerto Vallarta where guests can stream music, join an afternoon pool party, catch a show at the amphitheater or live nightly music and karaoke at the Sun Bar. At Hard Rock Hotel Vallarta, guests can explore the lifestyle of a rock n' roll star. Located on the legendary beaches and azure waters of Bahia de Banderas in the heart of Riviera Nayarit, Mexico, Hard Rock Hotel Vallarta is a luxury, all-inclusive resort that’s just 20 minutes from the excitement of Puerto Vallarta. On-site, guests will find six distinctive restaurants featuring sumptuous international cuisines. The property’s bars and lounges serve up unlimited drinks, light fare, music, and entertainment. Deep-sea fishing, scuba diving, snorkeling, and sailing are some of the additional options for filling your time. There’s also kayaking, beach volleyball and a Kid’s Club. Like Hard Rock’s other properties in Mexico, Hard Rock Hotel Vallarta also features an unforgettable spa, where guests can spend hours rejuvenating body and soul via holistic spa rituals. Then as night falls, the rockin’ good time begins again, with live music, concerts, entertainment and fabulous parties.